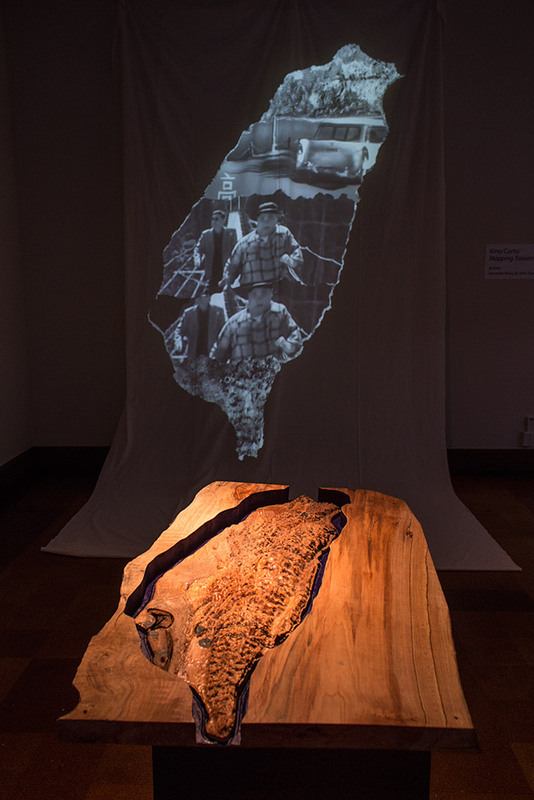 This interactive video installation is a physical cartographic reference to the island of Taiwan, the focus of the 2014 Cinema Pacific Film Festival. 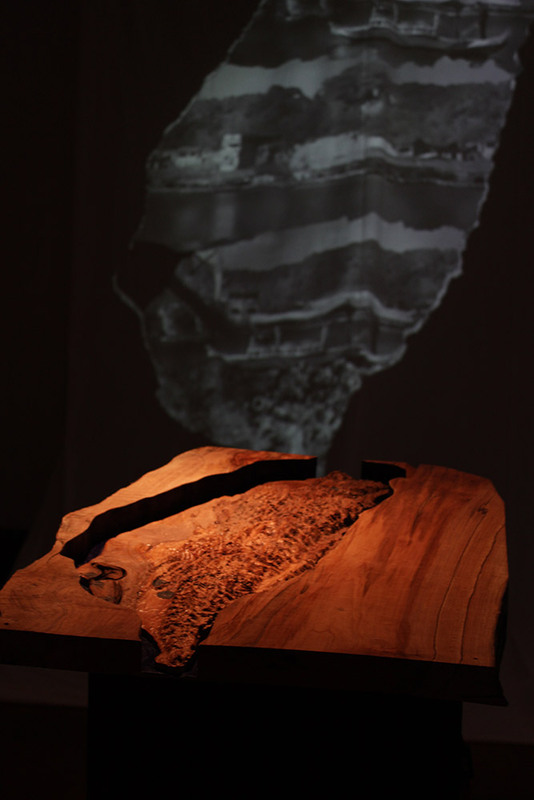 CNC Milled out of solid maple, the map contains embedded touch-sensitive regions that trigger video segments from the featured film. The chosen clips relate to place, the specificity of which is vital to the film Brother Wang and Brother Liu Tour Taiwan. 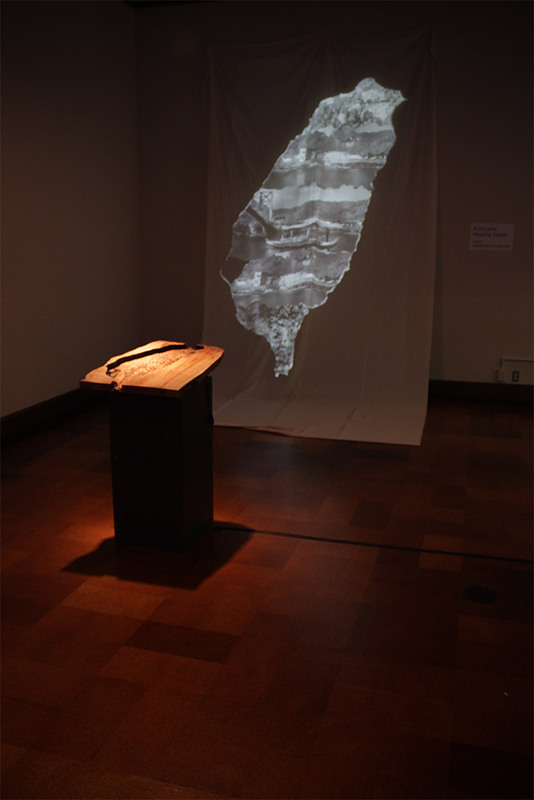 Medium: CNC Milled Maple with live edge, custom touch-sensitive electronics, digital projection. 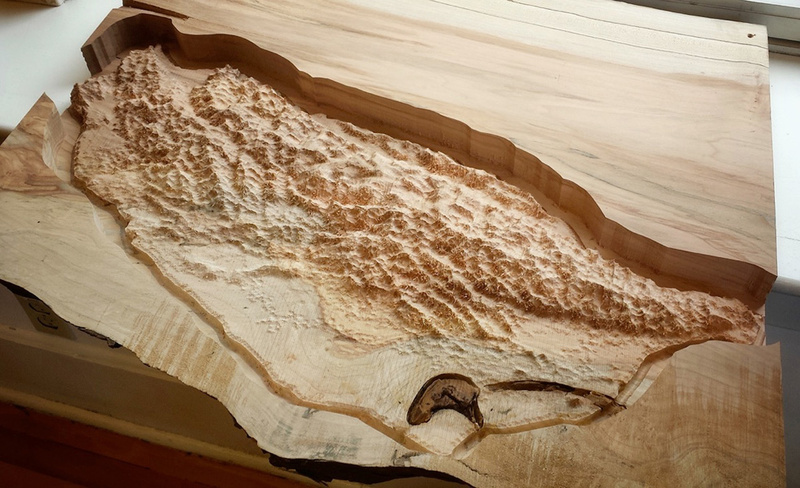 By taking topographical maps of the entire island of Taiwan and applying those to a ‘displacement map’ in a 3D model, it was then feasible to send the 3D model of the island to the University of Oregon’s 4’x8′ CNC router. The height of the mountain ranges relative to the size of the island was exaggerated to highlight features and contrast, as opposed to geographical accuracy. Maple was chosen as an appropriate wood species as it has a gentle but pronounced grain and it is a relatively soft wood for the CNC routing process.